A tisket, a tasket... Check out this basket! 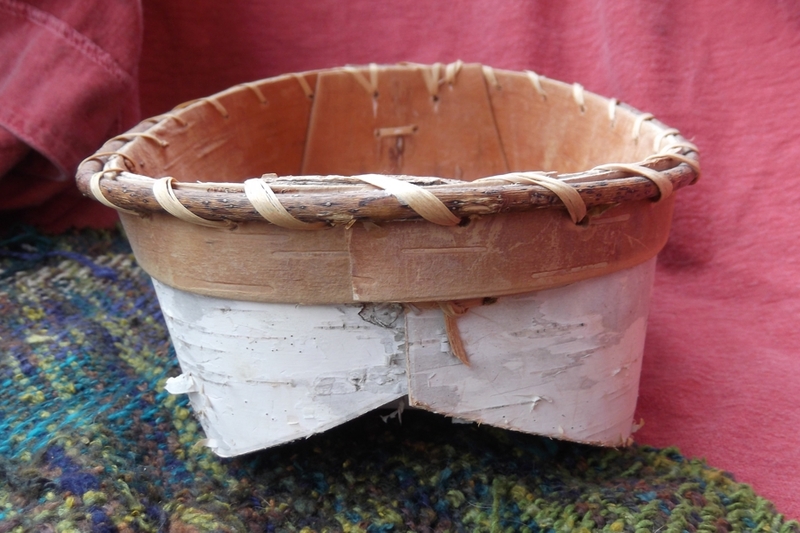 This hand made birch bark basket was made in the style of a traditional indigenous people. 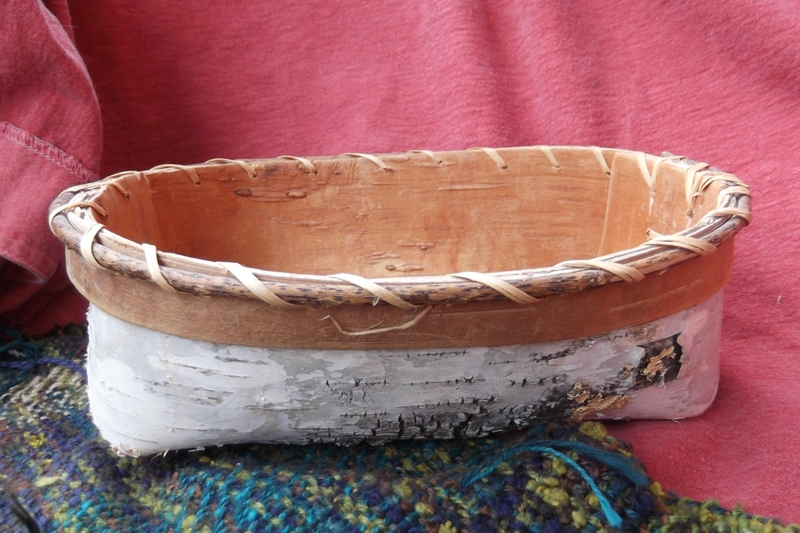 The artisan took a beautiful piece of bark and shaped it into the basket form. 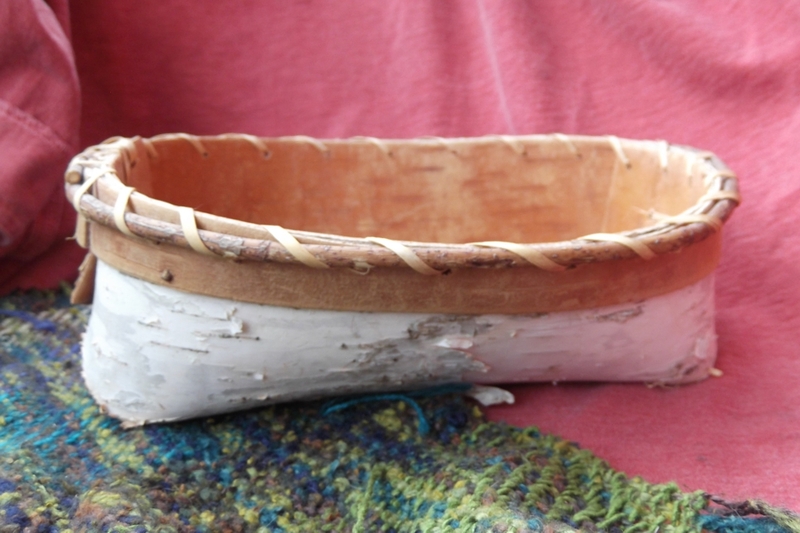 Then sewed it together, using nothing more than small strips of bark. 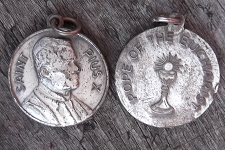 An edge was added to the top by looping a thin twig around the circumference, under the bark binding. 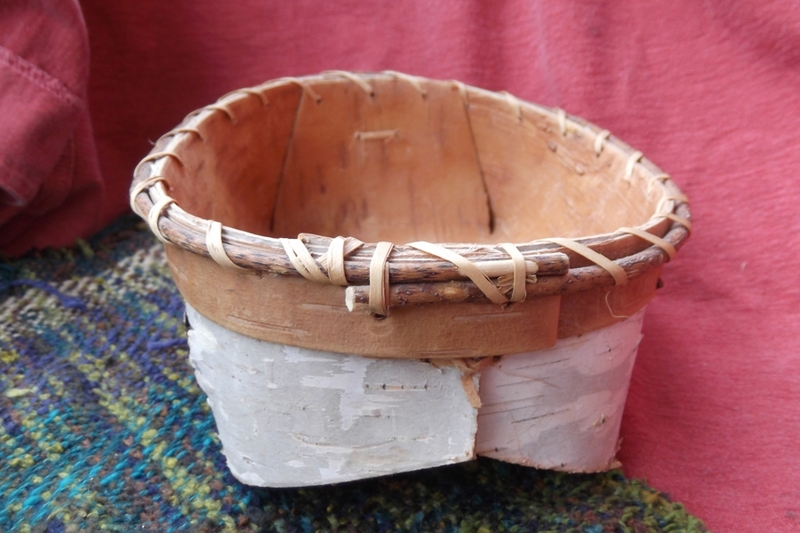 The basket approximately measures 8-1/4 inches long by 6-1/4 inches wide by 2-1/2 inches high. 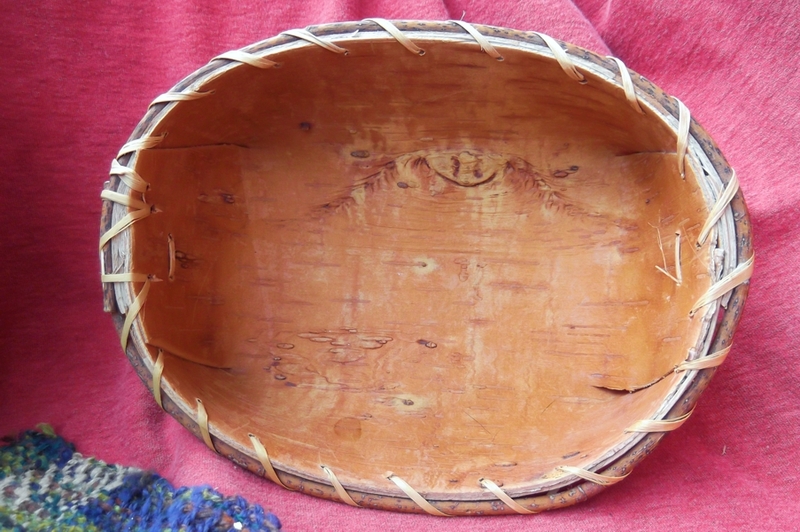 The interior of the basket (at the top) measures 7-1/8 inches long by 5-5/8 inch wide by 2-1/4 inch high. 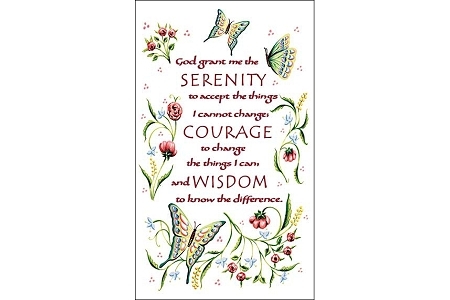 This item is not Native American Indian produced, a Native American Indian product or the product of a particular Native American Indian, Native American Indian Tribe or Native American Indian Arts and Crafts Organization.